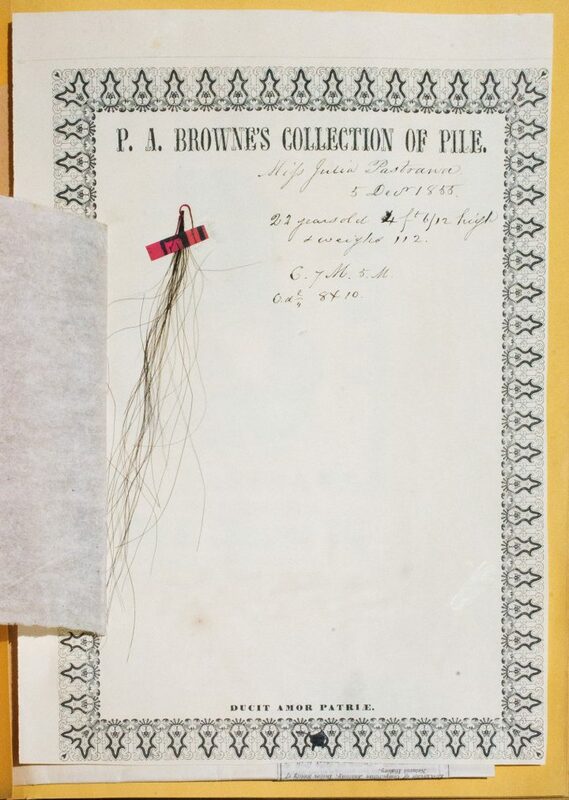 In the mid-1800s, naturalist Peter A. Browne assembled the world’s greatest hair collection to explain the complexity of humanity. In the 1970s, it was saved from the trash by a museum curator. Peter A. Browne believed a scientific portrait of humanity could be constructed through its hair. In the 1840’s and ’50s, the Philadelphia lawyer and naturalist procured as many specimens as he could, from figures famous and ordinary, living and dead, local and abroad. Anyone with hair was desirable for what he anticipated to be a major national collection. Acquisitions came from patients in the Western Virginia Lunatic Asylum and Napoleon Bonaparte, from a 100-year-old man and a fetus, and from “the head of a lady which had laid 32 years in the grave.” Browne connected with missionaries, explorers, and traders who brought back hair from around the world, and on his behalf the Secretary of the Interior Alexander H. H. Stuart sent requests to agents in the Bureau of Indian Affairs. He collected from the celebrities of the day, like museum founder Charles Willson Peale and author James Fenimore Cooper, and its human oddities, such as conjoined twins Chang and Eng Bunker, and Julia Pastrana, exhibited for her hairy face and body. 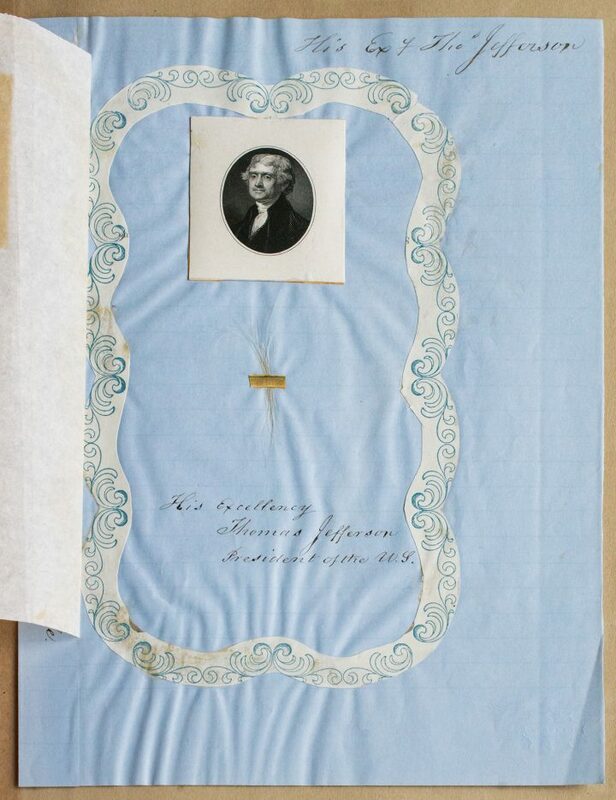 A few strands of George Washington’s tresses were acquired from the son of the late president’s barber, joining other examples from 13 of the first presidents. Browne even obtained samples from a convicted murderer — before and after his hanging. Now his albums of hair — 12 in total — are in the archives of the Academy of Natural Sciences of Drexel University. However, they were almost thrown away. In a publication out November 30 from Blast Books, titled Specimens of Hair: The Curious Collection of Peter A. Browne, Peck relates how in 1976, early in his curatorial career at the Academy, he came across some curious metal boxes designated as trash. Inside were yellowed, but intact, scrapbooks of human hair and animal fur. Although the curator who was discarding them dismissed the albums as “junk,” Peck recognized their value and thoughtfulness, and stored them safely in his office. Later they were filed in the Academy’s archives, where they’ve mostly stayed out of public view, aside from small showings of the presidential hair in 2008 and 2016. Through March 24, selected pages from Browne’s collection are on view in the Academy’s museum, rotating every few weeks. The book also features over 100 new photographs by Rosamond Purcell, who regularly works with historic scientific objects. 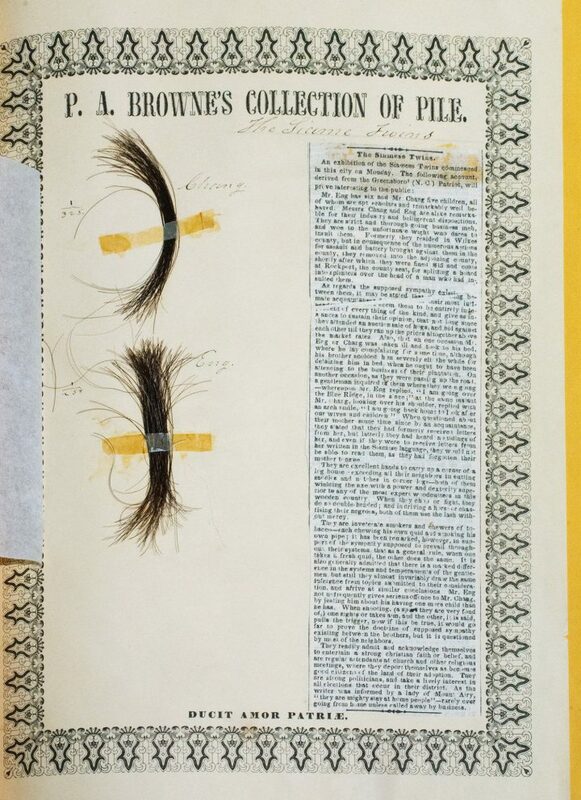 Specimens of Hair joins Purcell’s photographs with Peck’s research. Before Browne got into what he called “pile,” derived from the Latin pilus for hair, he spent time with botany, geology, and other natural history subjects. Then he started analyzing sheep’s wool. “With the sheep there were practical applications and he could determine what worked best for blankets or felt,” Peck explained. After sheep, he moved on to other mammals, acquiring strands from a lion’s mane and some tawny fur from a lynx, before concentrating on humans. “For human hair, there really weren’t practical applications, but there was a great interest in how we are all related to each other,” Peck said. And, thanks to Peck, the collection is not only conserved, it’s growing. As he shared in a 2017 post on the Academy of Natural Sciences blog, on the occasion of the 2016 presidential hair display, he reached out to the living American presidents. The one that responded was Jimmy Carter, and a little while later an envelope arrived with a ziplock bag containing some clippings. “Since returning home from the White House, I have kept it cut quite short, so these pieces are mostly less than one-half inches long,” Carter wrote. 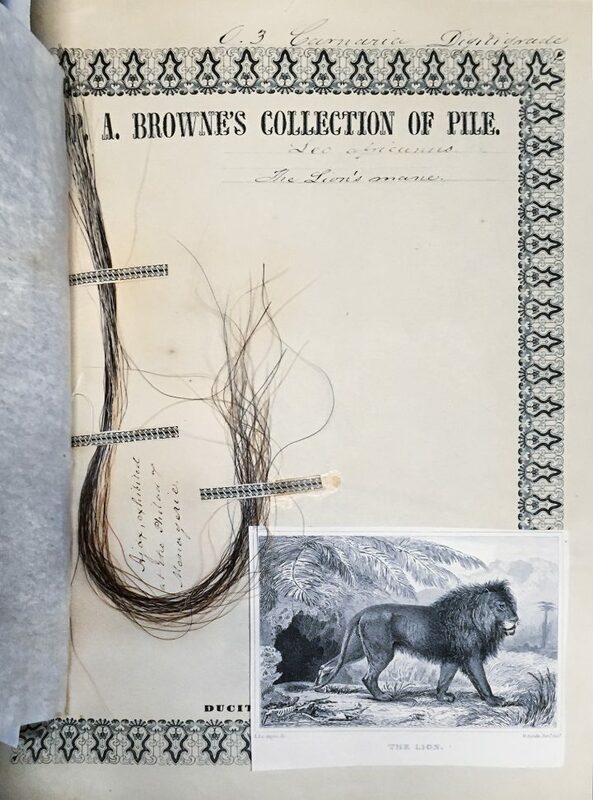 “I did not anticipate growing longer locks for display in a museum!” Now this bit of the 39th president is in the Academy along with Browne’s hair specimens, which represent one man’s unusual attempt to understand the complexity of humans. Specimens of Hair: The Curious Collection of Peter A. Browne by Robert McCracken Peck with photographs by Rosamund Purcell is out November 30 from Blast Books. 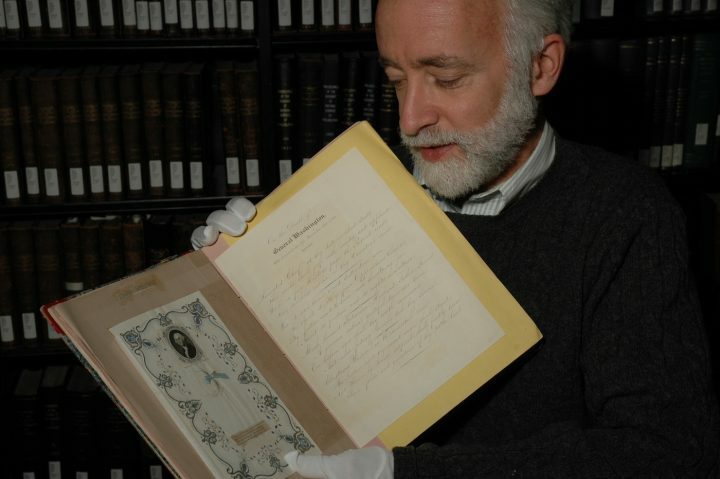 Pages from Peter A Browne’s collection are on view through March 24 at the Academy of Natural Sciences of Drexel University (1900 Benjamin Franklin Parkway, Philadelphia).